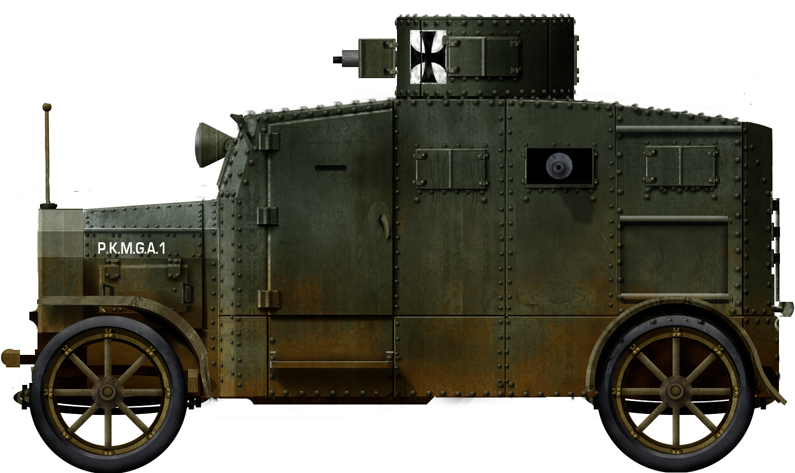 The Ehrhardt E-V/4, also called “Straßenpanzerwagen” or, literally, “street armored vehicle”, was one of the three prototypes of armored cars ordered by the War Ministry. 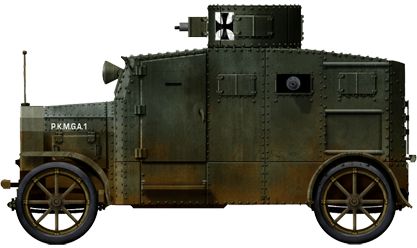 At the origin, some German cars had already been used as balloon-busters, the “Ballon Abwehr Kanonen (BAK)”, usually lorries with an improvised AA gun as a payload. However, when fighting in Belgium, both infantry and cavalry were harassed by successful platoons of Minerva armored cars, that showed the German officers what this type of vehicle could do. So, the three most recognized German car makers of the time, Ehrhardt, Daimler and Büssing, were contacted in early 1915 to each deliver a prototype. All three vehicles were tested in the Baltic, and then sent to the western front. The Büssing was a double-ended behemoth, of which only two more vehicles besides the prototype were apparently produced, while the Daimler and Ehrhardt vehicles showed similar appearance and general characteristics. Contrary to Allied vehicles at that stage in the war, they were not hastily converted touring cars, but proper military vehicles. Twenty Ehrhardt E-V/4s were ordered and delivered to the Army in 1915. Contrary to the two others, Ehrhardt was mostly known a weapons maker, but was found in charge of building these vehicles, whereas the two other manufacturer were busy with other tasks. However, the design that emerged was really tailor-made on the Army’s demands. 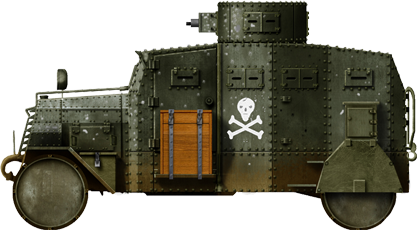 So, the vehicle looked clumsy and bulky, with an engine at the front and a massive symmetric hull littered with single and double-piece port hatches, with vision slits used to bear machine guns. 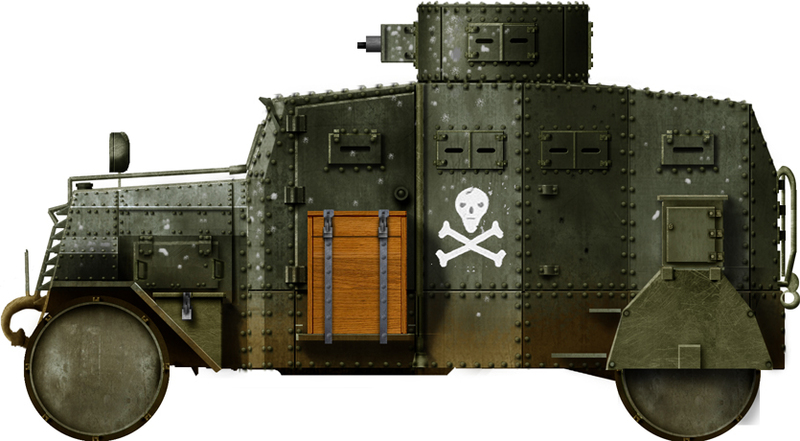 The armored hull was bolted to a Daimler-BaK Plattformwagen M1914, also used to carry a Krupp Flak 7.7-cm cannon. It was a four-wheel drive vehicle, with a Daimler 80hp engine. The original radiator was replaced by a purpose-built one on the Pz.Wg Kr. 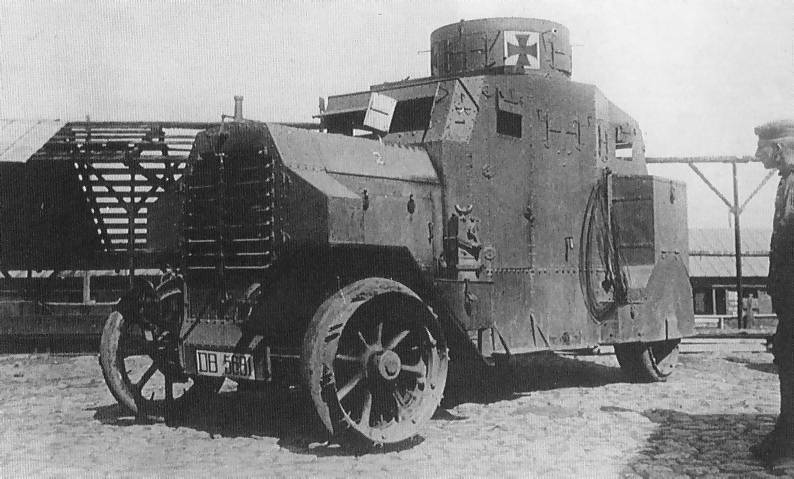 Ehrhardt M1917, remotely opened by a lever from the driver’s seat, and with adapted armored grids. For night rides, a narrow headlight of Büssing type was placed at the opposite of the driver. The hull was made of riveted and bolted plates, 9 mm (0.35 in) thick at the front and sides, and there was a central fixed turret with four ports. There was a crew of nine in the cramped internal space, and three up to four machine guns could be fired simultaneously from the sixteen ports. Being massive, their manufacturers were aware of their limitations, and both expected to improve their abysmal off-road performances by giving them double wheels on each side of the rear, protected by surrounding armored mudguards, while the the single wheels at the front were given metal flanges (like some artillery tractors), in an attempt to reduce ground pressure. However, the front wheels and leaf springs shock absorbers were left from the original vehicle. 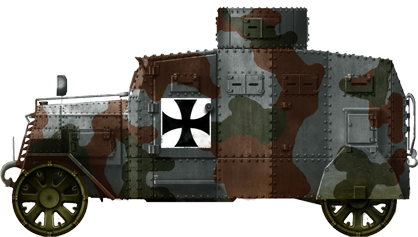 The first series of 13 vehicles, designated Panzerkraftwagen Ehrhardt 1915, was delivered in 1915-16, and used by the Panzer Kraftwagen MG Züge 2, 3, 4, 5 and 6, each counting two vehicle plus a support truck. But they could do little on the Western Front, so they were quickly sent to the Eastern Front, using to great effect the wide expenses of the front, where their mobility could really count, in Romania in 1917 and on the Ukrainian front in 1918. Some were lost in action, and the German high command soon asked Ehrhardt for more vehicles (twenty in total), which were manufactured and delivered as the Panzerkampfwagen Ehrhardt 1917. These vehicles had a completely revised frontal armor, but war lessons triggered other improvements that reduced their weight by 1.75 tons. 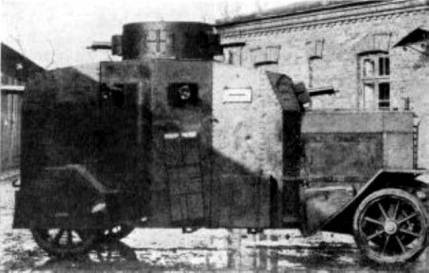 Underneath protection was enhanced with another armored plate protecting the transmission, headlamps were enclosed in armored boxes, front vision ports offered better protection, the rear double wheels were protected by an armored mudguard and, moreover, the central turret was now fully revolving. A tall extensible aerial for a wireless radio was also carried, at the expense of the crew’s already tight space. Both series served on the Eastern front until the end of 1917, when the Revolution broke out, and then were repatriated to serve as police duty vehicles in major cities. They were found so useful in this new duty, that an additional 20 vehicle batch was ordered and delivered in 1919, albeit manufactured with poor quality plates. In the numerous riots and large urban fights that followed in the German cities and, in particular, Berlin, their height allowed them to tower over the crowd, giving police officers better control of the rioters. 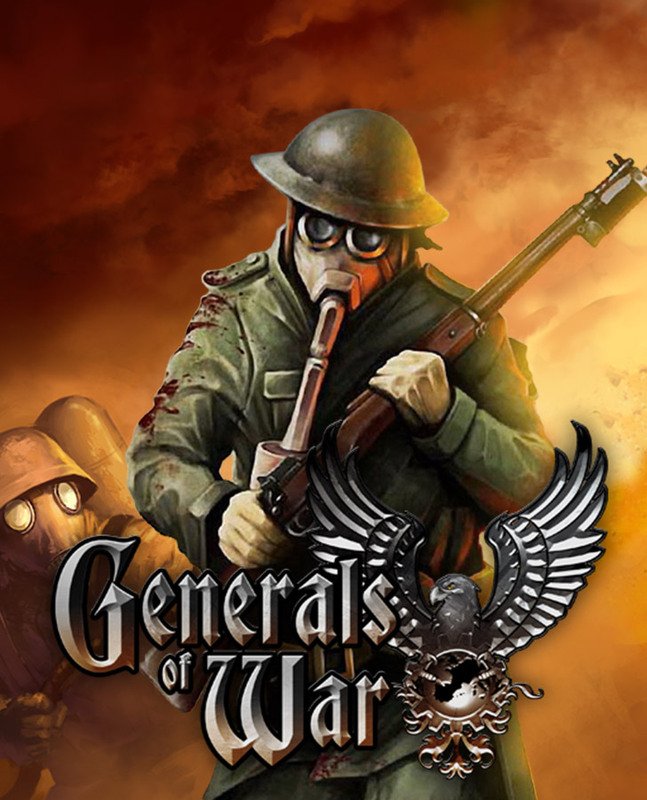 They were famously and quite extensively used by the “Freikorps” in the Berlin streets against armed bands. But German and Polish fighters also used them in the so called “Silesian Uprisings”, until 1921. The two Polish Ehrhardts (possibly captured or given by the French as war repairs following the armistice conditions) and served for years. As for the German vehicles, they were still in the ordnance list of the police in 1939. Panzerwagen Ehrhardt 1915 on the Eastern front, in 1916. 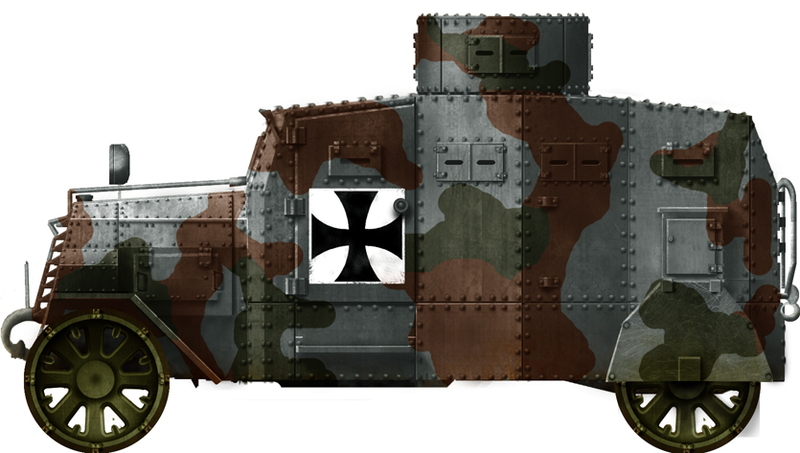 Camouflaged Panzerwagen Ehrhardt model 1917 in 1918. 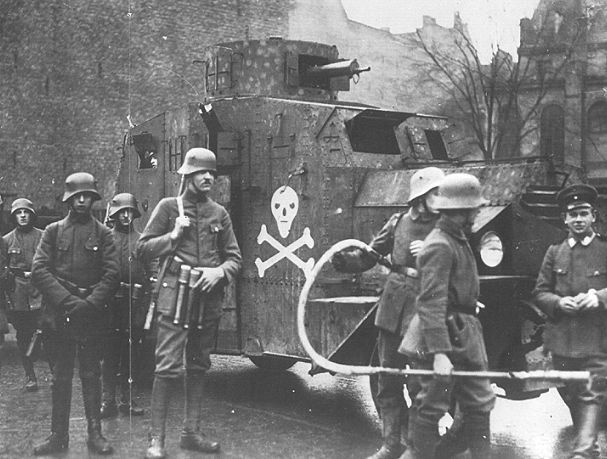 Ehrhardt EV/4 model 1918 with the Freikorps, Berlin streets, 1919.